When looking at creating video for social media platforms, you now have a fair amount of sizing considerations to think about. Some are set in stone – which we will come to later – but decisions should always be based on effectiveness. And it’s numbers that we can look at to help give us insight into this. – Square video resulted in 30-35% higher video views and an 80-100% increase in engagement on Facebook. – It costs advertisers 33% less to get someone to engage with square video on Instagram. – Vertical video ads are watched all the way through 9 times more than horizontal video ads on Snapchat. What these numbers suggest is that Square videos perform better across the board on social media platforms, with vertical hugely effective too. And so landscape videos should arguably be avoided for social media platforms, with landscape best suited to websites and Youtube. 1. The majority of social media users access content through mobile. Which of course means content should be optimised for mobile. 2. Square video use 78% more real estate in a person’s mobile newsfeed than compared to landscape video. Clearly then, Square videos should be a staple of your video content for social media. Supplemented with vertical videos, as these take up even more screen real estate! Plus for platforms like Instagram and Snapchat the sizing requirements for certain parts of their channel are set in stone (we did promise we’d touch upon these). For example, when it comes to Instagram Stories, video content must be vertical to the size of 1920 x 1080. This makes the video full screen and completely immersive – and so hugely engaging. 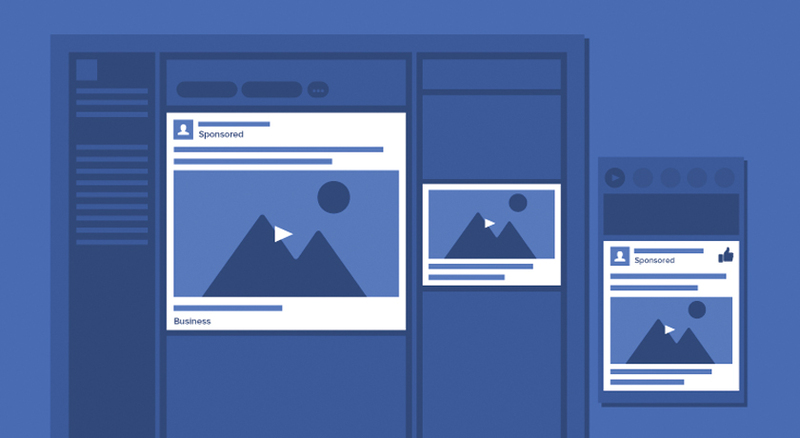 Brands are recognising this and so introducing videos with these dimensions into Facebook feeds too. On the subject of Instagram Stories, it’s always worth remembering that 60% of Stories are viewed with the sound on. So be sure to have a strong music track to go with your visuals for added engagement. While we’re talking set in stone… There is one other thing to remember. If you’re creating a carousel add and using video within it, then these must be square in size. Again, more reason as to why creating square videos across the board might be your best bet. In summary then, it’s crucial to recognise that video format, somewhat regardless of the content, has a huge effect on how many people watch and engage with your video. Research has shown that square video outperformed landscape video in views and engagement (like, comments, shares and completion rate). And so be sure to, at the very least, be creating square videos across your social channels, and vertical videos when possible. Creating Vertical videos is somewhat dependent on the content captured, and the resource available to edit, though. Then test, test and test to see what your audience prefers based on engagement and view completions and then adjust your output accordingly. Finally, below is a handy graphic that again helps to show the real estate screen space you can grab based on the format of your video. Of course, if you need any help with video, you know where we are.